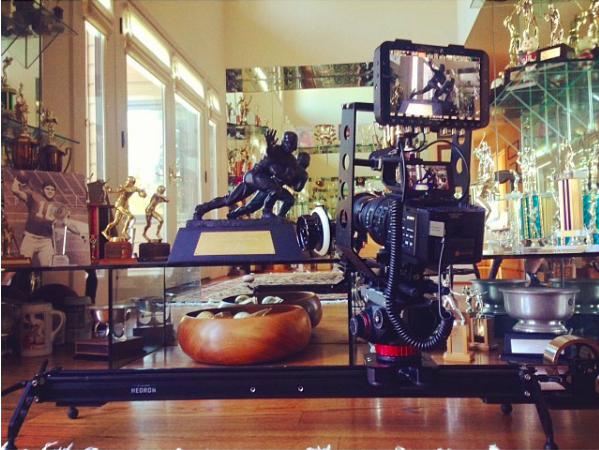 The 5 foot Hedron Camera Slider from Cinevate provides smooth, precise sliding motion for camera rigs up to 40 lb. 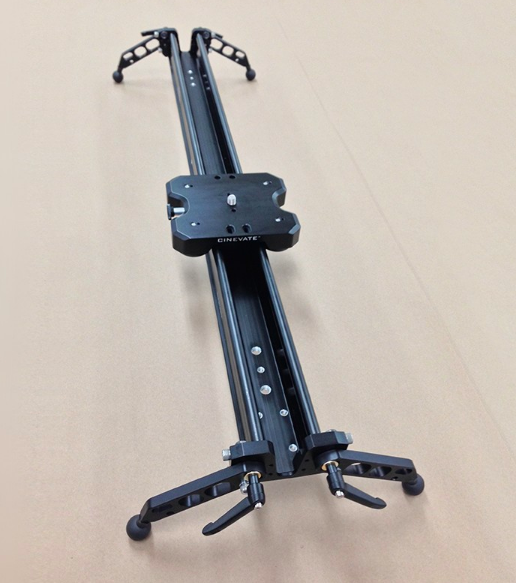 It delivers horizontal, angled, or vertical movements, and can be operated manually. 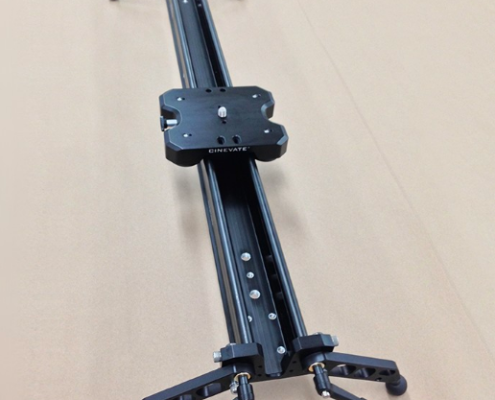 5 foot Hedron Camera Slider is a premium slider that delivers smooth slider shots, under heavy payloads, vertically or horizontally, manually or electronically, each and every time. 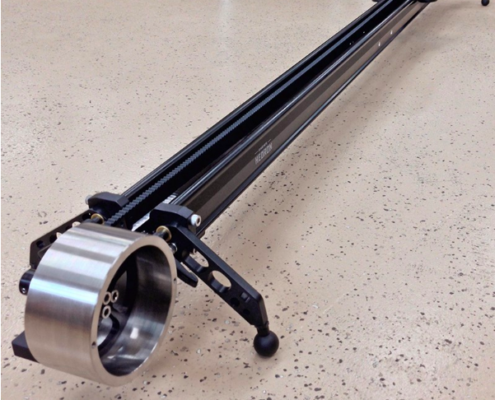 In short,5 foot Hedron Camera Slider is one less thing you have to worry about on your shoot. Hedron was built from the ground up using only proprietary components. 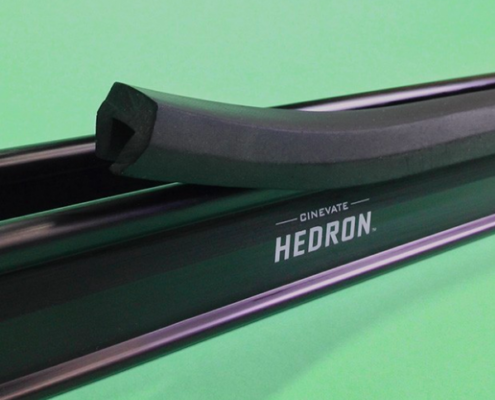 This process gave Cinevate maximum control over the design and the development of Hedron, which ensured they were delivering the absolute best product. 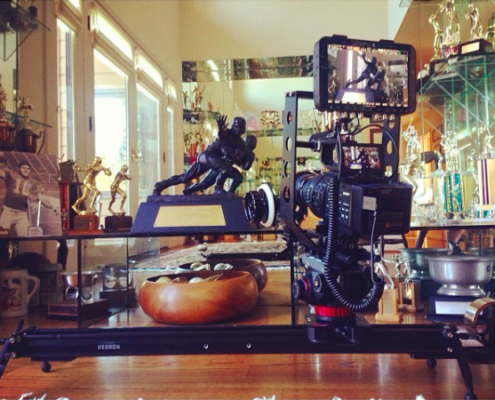 Cinevate’s tradition of producing apocalypse-proof gear has been honoured in Hedron. 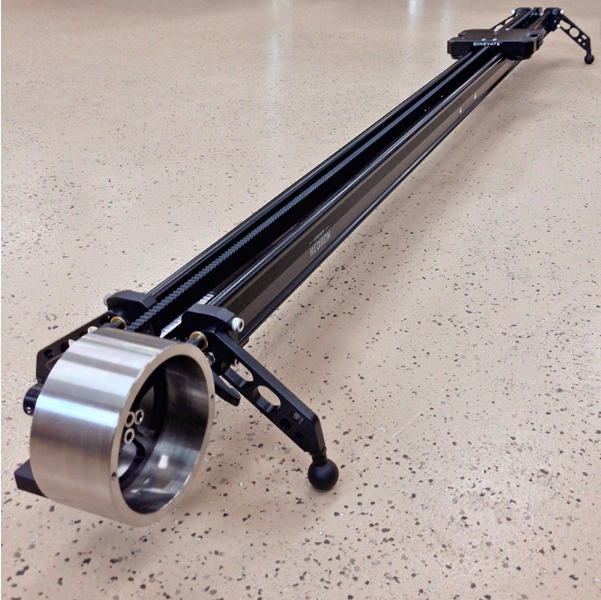 Solid CNC machined aluminum, reinforced steel drive belts, and stainless steel fasteners are standard fare throughout. 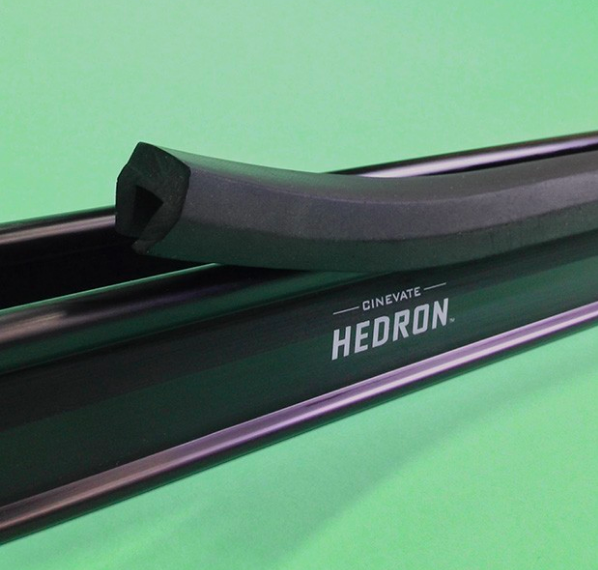 With a 40 lbs weight capacity, Hedron will comfortably support your rig. The Fly-Wheel enables consistent and smooth movement, that ramps in and out seamlessly, allowing you to use the start and finish of every shot, every slide.